Recorded, Produced and Mixed by Braintheft at Braintheft-Studios. Vocals by K-thei??? . Additional Mixing and Recordings at Planet-Earth Studio, Berlin. Mastered by Bert Olke at GL-Audio, Berlin. Artwork by Michele Guidarini. 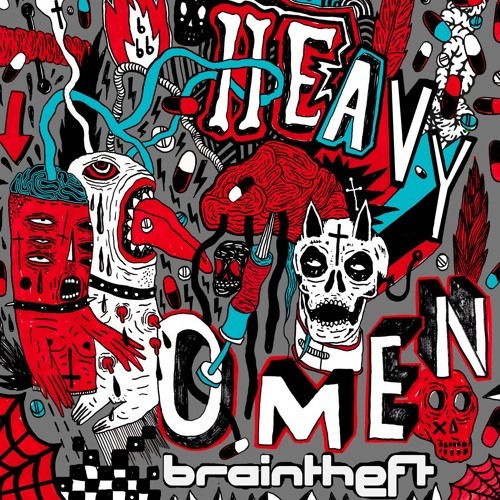 Download link: http://odgprod.com/2016/02/braintheft-heavy-omen/ 2nd Track from "Heavy Omen EP" , ODG-Prod 2016. I'm really loving this. Unfortunately the place you have hosting your download is doing a really poor job delivering the goods. There's some hoops to jump through and in the end; I've given them access to my SC account and attempted to DL 3x (loooong downloads and we're on fiber) and still I get a bunk zip file that windows pretty much barfs on. Just FYI. Thanks for *attempting to make the music free for the people. These are really amazing works. Users who like Braintheft - Ode To The Delay feat. K-the-i??? Users who reposted Braintheft - Ode To The Delay feat. K-the-i??? Playlists containing Braintheft - Ode To The Delay feat. K-the-i??? More tracks like Braintheft - Ode To The Delay feat. K-the-i?? ?